I hope you all had a wonderful extended Thanksgiving weekend. I spent mine with all the family gathered for Thanksgiving dinner on Thursday, with lots of shopping on Black Friday, a Christmas parade on Saturday, and ended the weekend with a basketball game. 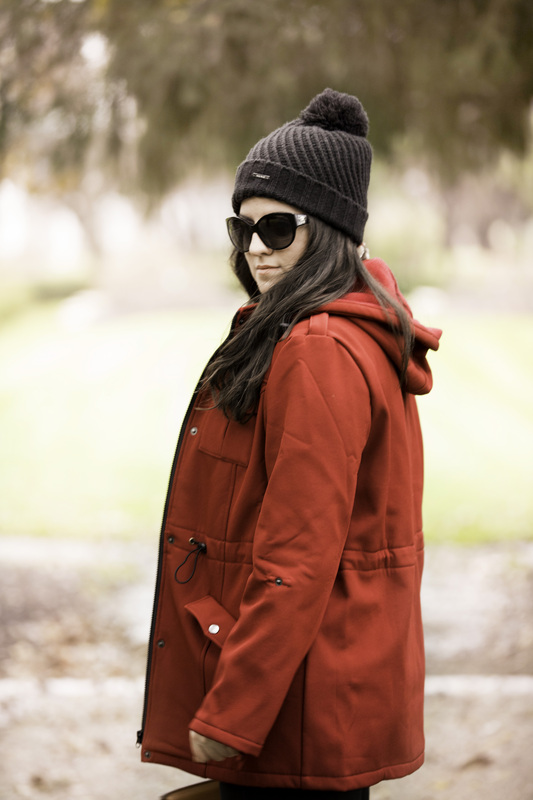 As for my outfit today, I wanted to show you this beautiful red coat that I purchased few weeks ago. 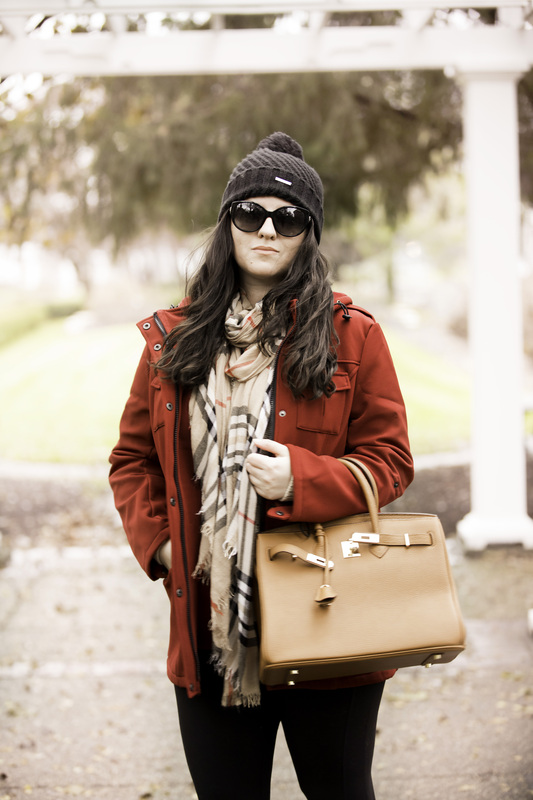 I was looking for a red coat that I could wear from late Fall into early Winter. 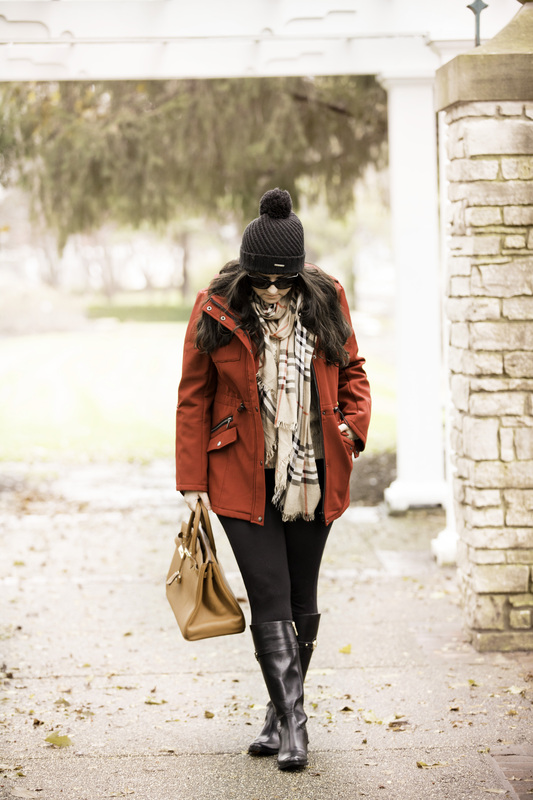 I have so many neutral colored coats but having a bright color like this red was a perfect addition to my closet especially for the holidays. What I love about the coat is that it is thin and doesn’t add any bulk. For being a light coat I was pleasantly surprised of how extremely warm it is. It is perfect for this weather, however I would not recommend it for any temperatures below 30’s degree unless worn with a really thick wool sweater. I have worn it pretty much every day, since I received it in mail. 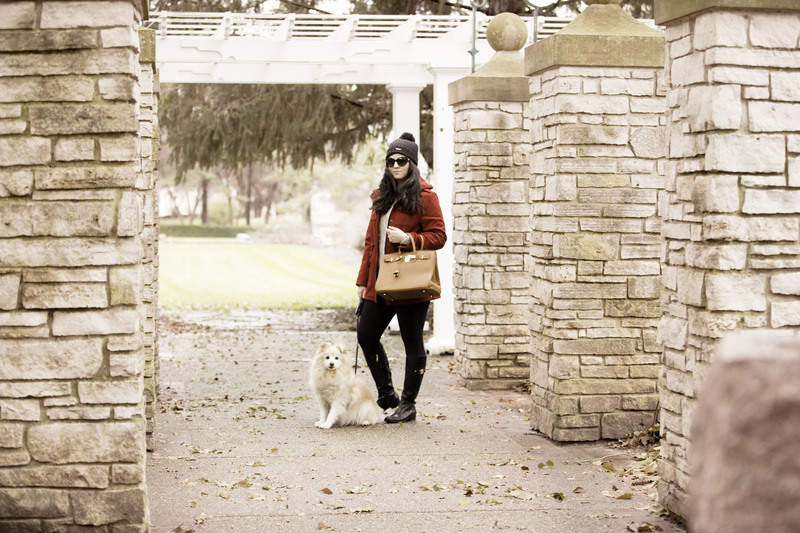 Today as you can see I styled it with leggings and over the knee boots for a casual day of running errands and later for a walk at the park with my furry kid. 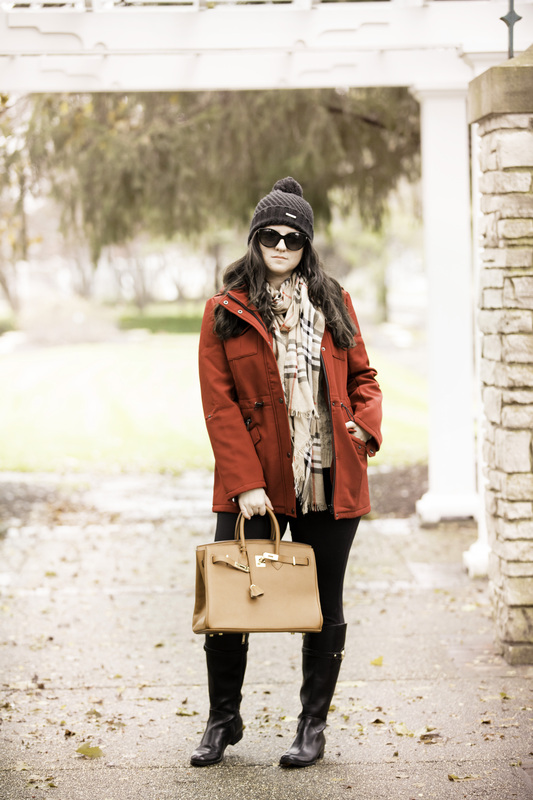 Loving all the warm outwear pieces here- your hat, coat and scarf! Love the bright color for cooler weather! The bag and scarf are beautiful too! Your dog is too adorable by the way! Your coat is so cute! I’m obsessed with it! Love that color! Perfect for the holidays. I love this cozy outfit! Your red coat is so cute!! I love red! Such a great color for this season!